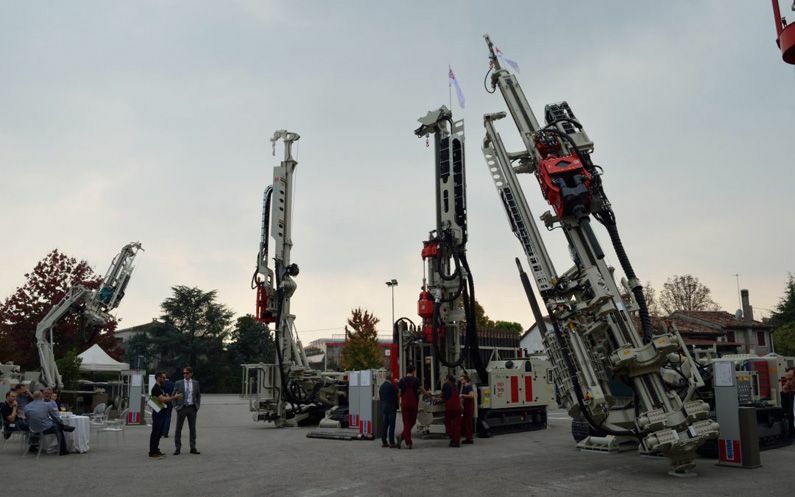 The 2017 Comacchio dealer conference and open day proved to be a signature event for Comacchio. Nearly 400 attendees including 200 dealers from all around the world were present. It really was four days of everything Italian and specifically, everything Comacchio. The Comacchio brothers and their staff did not hold back as they treated us all to fun and informative presentations, amazing dinners including a spectacular get-together at Marostica Castle. Included were exhibits and demonstrations of some of the more than 80 models of machine Comacchio produce. Of special importance was the demonstration of the performance of the CH450 broed pier machine. this took place at the new production facility that opened in June 2017 in Riese Pio. Teams of delegates were bused to watch the machine in action and wander around the purpose built facility . Drilltechniques will bring the first of the CH machines into Australia in early 2018, you will see the CH 450 in action in the embedded video. Keep your eye out for Nigel de Veth and his new GEO 909 GT due for delivery in Australia in late November. 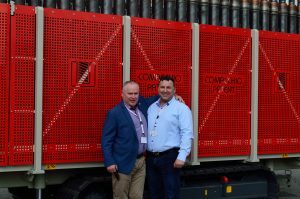 The GEO 909 GT is the first of its kind in Australia and represents the dawn of a new age of geothermal and geoexchange drilling. The double head machine features an automated rod and casing loading system that is unmatched in the drilling industry to date. The dealer conference drove home the amazing evolution of the Comacchio range. This was made more evident with the display at the event of the 3000th Comacchio machine and its presentation to the new owner at the event. It was exciting to hear some of the new innovations that are on the drawing board for 2018 and beyond. Some of the innovations include upgraded pipe handling systems for the MC-T range and safety, efficiency, emissions and remote connectivity improvements for all products.